While there’s a little more than month yet to go, 2016 is shaping up as a kind of lost year for the cinematic James Bond — when pretty much nothing substantial happened. Decision made about a studio to actually release Bond 25? No. Release date, if only the year? No. Can’t set a release date without somebody to distribute it. Script? Not that anyone knows about. That evokes the 2002-2006 period when Eon Productions co-bosses Barbara Broccoli and Michael G. Wilson were going through a creative mid-life crisis. That creative mid-life crisis followed the release of Die Another Day, a big, sprawling and expensive (for the time) movie. The current exhaustion followed the release of SPECTRE, a big, sprawling and expensive movie. On top of the usual pressures, much of the behind-the-scenes issues on SPECTRE became public knowledge because of the Sony computer hacks in 2014. Thus, e-mails about the film’s budget, script problems and negotiations for tax incentives in Mexico became public knowledge. The Gawker website described the plot in detail based on a draft of the script made available by the leaks. So, to be fair, you could argue SPECTRE was more stressful than the usual big-budget movie. Still, nobody — especially this blog — expected that things would seemingly shut down in 2016. Michael G. Wilson said late last year he thought Metro-Goldwyn-Mayer would select a new distributor by January or February. Wilson also said MGM had talked with executives at three studios, although he didn’t identify them. 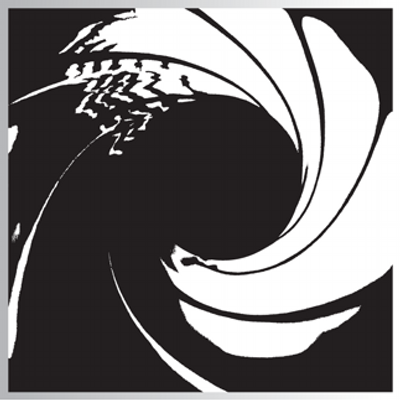 Sony Pictures has distributed the past four 007 films but its contract expired with SPECTRE. By March, MGM said no deal was struck and it wasn’t hurrying to reach one. Studio boss Gary Barber said he expected Bond movies to come out on a “three-to-four year cycle.” Eight months later, that’s still the status quo. As a result, right now there appears to be no momentum on the 007 film front. By contrast, in November 2012 (the same month Skyfall was released in the U.S.), a writer (John Logan) had been hired and publicly announced by MGM. In July 2013, a fall 2015 release date for the then-untitled Bond 24 was disclosed, along with an announcement that Skyfall director Sam Mendes would return for an encore. Much of the year has been taken up by reports of supposed contenders for the Bond role or, conversely, supposed major offers for Craig to come back. Remember how Tom Hiddleston, among others, was a cinch to be the next 007? Remember how Sony supposedly “should be announcing any day” it had a new deal to release Bond 25 and was offering Craig $150 million for two more movies? Months and months later, neither has become reality. Maybe there will be a flurry of news in December, such as MGM finally selecting its studio partner. Still, Bond 25 development is behind the pace of SPECTRE at a similar point three years ago. Maybe 2017 will be more eventful.